Pete hit a power serve and the ball hit inside and deep. The opponent extended his racket, lunged and managed a sloppy return off the rim. “Whap!” the sound from the mis-hit reverberated throughout the court. The ball popped up. Pete ran forward, a grin on his face, thankful for the easy put-away. He raised his racket and slammed the ball into the bottom of the net. Pete’s unforced error into the net took the score to 11-12. His one-word outburst resulted in the loss of another point and ended the tie-break at 11-13. Loss of tie-break. Loss of match. Loss of team match. No advancement to USTA Nationals. Did the opponents hear the profanity? If it isn’t heard by the opponents, is it a profanity? Are tennis officials even human? A one-word outburst and an entire team is unable to advance? Pete said an obscenity. The rule in the USTA Friend at Court 2018: Handbook of Rules & Regulations does not question if it was audible to the opponents, only that it was heard. At the 2018 U.S. Open, Chair Umpire Carlos Ramos gave Serena Williams a game penalty after he said she accrued three violations noted in the 2018 Official Grand Slam Rule Book: Receiving coaching, smashing a racket, and verbally abusing Ramos. The Internet exploded with videos of players slamming rackets, cursing tennis officials and calling officials names. Officials had been called “thieves” (code violation), “an abortion” (no code violation), “unattractive inside” (code violation, but less than the full fine), “son-of-a-b#$@h” (no code violation), “corrupt” (code violation), and other uncomplimentary names. Wherein lies the problem. 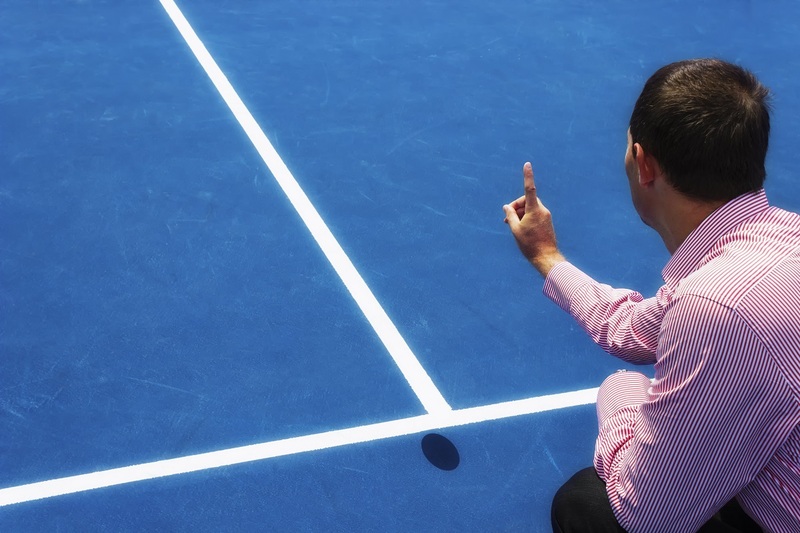 Tennis officials are dancing between a tight adhesion to the rules or are showing discretion. Players demand discretion when the error is on their side of the court. But when the error is on the opponent’s side, players are quick to request a “Follow-the-Rules-to-a-T” decision. Officials are passionate about the game of tennis. Each year, they attend workshops and participate in Webinars. They are tested on the rules and safe play conduct, and they take eye exams. Yes, even eye exams. Tennis officials are humans. They are educated to ensure a standard of fairness, objectivity and neutrality in the game. Maybe it is not a question of officiating, but imprecise rules. The follow-up to the 2018 U.S. Open is to ask, “Why not let coaches instruct their players?” We could watch and admire the dazzling mental wit of Coach John McEnroe as he paces up and down on the sidelines, while his players battle against an equally competitive team. Now that’s entertainment!